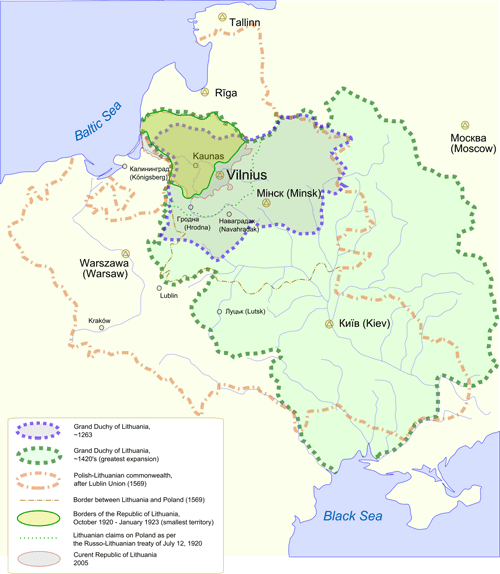 Lithuania used to be a lot bigger. And more important. As in, other countries used to ask to be ruled by Lithuania. True story. In review: Small and obscure now, previously was a great big deal, calling all the shots for a few centuries. There was also something with the Grateful Dead and their Olympic basketball team. And they built the basketball equivalent of Stonehenge. That’s all I’ve got. Except this.